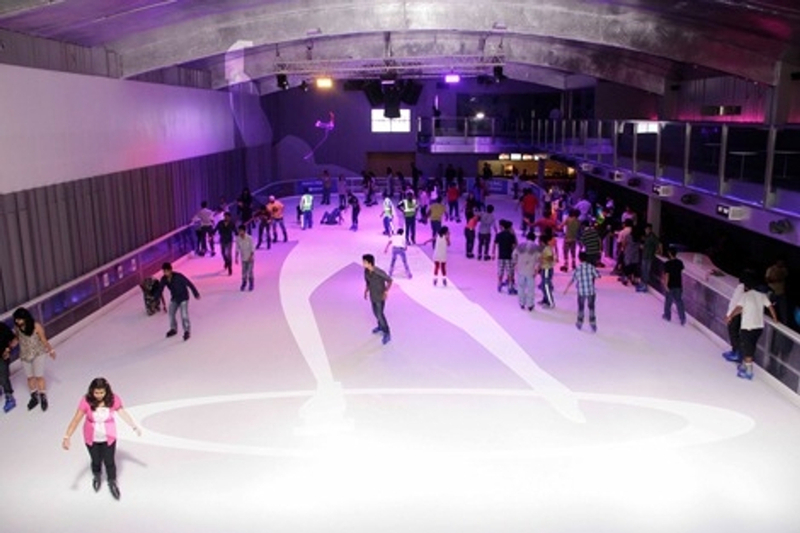 Ice Skating and cafe is located in Ambience Mall, Sector-29, Gurgaon. Iskate at Ambience Mall is India's first iskate and rink offering a unique experience of leisure and physical activity. It is best suited for occasions like birthday party, anniversary party, reunion and various such social gatherings. Iskate is a one stop entertainment destination with a lounge and ample arena seating boasting of a welcoming and exciting ambiance. The venue serves an eclectic range of Continental cuisine and he staff is very courteous and dedicated.